Apple and Qualcomm have kicked off their billion dollar antitrust trial in San Diego. As Foss Patents reports, the opening statement from Apple's attorney contained some major points that Apple will probably continue to hammer at during the trial. First, some background. When Apple exclusively used Qualcomm's modem chips for the iPhone from 2011-2015, both sides agreed that Apple would receive a $1 billion incentive payment from the chip maker annually. But Qualcomm stopped making this payment after Apple spoke out against it during a hearing held by the South Korea Fair Trade Commission. At the same time, Qualcomm discovered that Apple was planning on using Intel's modem chips on some of the iPhone 7 models. Once Qualcomm stopped paying Apple the $1 billion incentive payment, the latter told its contract manufacturers like Foxconn, Pegatron, Compal and Wistron to stop making royalty payments to Qualcomm; the contract manufacturers usually handle the licensing of parts. As you might imagine, billions of dollars are up for grabs in this case and both Apple CEO Tim Cook and Qualcomm CEO Steve Mollenkopf are expected to testify. This morning, during his opening statement on behalf of Apple, attorney Ruffin Cordell from Fish & Richardson discussed how Qualcomm's royalties are based on the retail price of a phone. This has been capped at $400 by Qualcomm, but still represents a much higher value than the $20 cost of a Snapdragon modem chip. But this means that the company collects royalties on parts that it has nothing to do with. This has infuriated many smartphone manufacturers besides Apple. Mr. Cordell made the brilliant decision to minimize the importance of Qualcomm's contribution to an iPhone. And he did this by pointing out that an iPhone can still function without Qualcomm's modem chip by using Wi-Fi. This means that Apple is not dependent on Qualcomm's modem chips. As a result, Apple's attorney might be able to convince a jury that Qualcomm is not entitled to royalties based on the price of a complete smartphone. Instead, you can expect Apple's legal team to say that the chip maker is only entitled to a royalty based on the $20 part it contributes to a handset regardless if it is mounted on a $300 handset or one that costs $1,000. 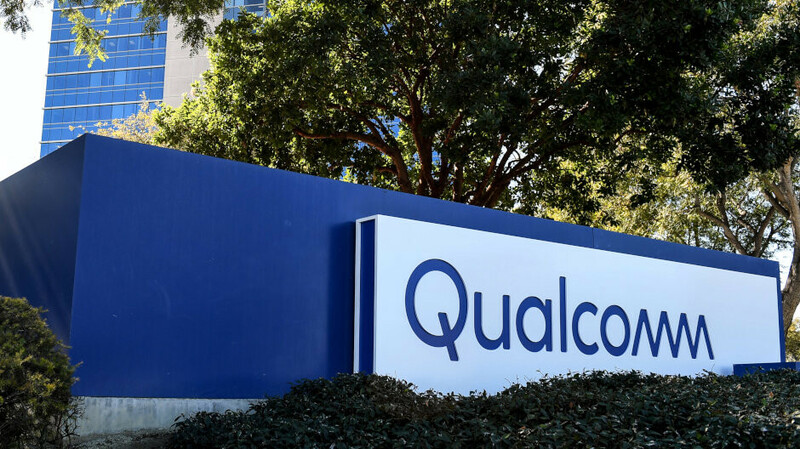 How the jury decides this case could have a large impact on Qualcomm's business practices moving forward. And the chip maker is still on pins and needles awaiting Judge Lucy Koh's decision related to the FTC v. Qualcomm case heard earlier this year. That non-jury trial examined Qualcomm's "no license, no chips" policy, and other controversial sales practices that Qualcomm uses to sell its chips. Does not matter anymore. They have reached a settlement. Eagerly waiting to see the complete terms of settlement. Good day for Apple customers. If the iPhone can work without a modem then why bother putting a modem in? It wouldn't be a phone any longer but an iPod. If the author or anyone else thinks that's a "brilliant" strategy they need their heads examined. It does not matter, Apple and Qualcomm have settled their royalty dispute!! Here is the press release: Qualcomm and Apple® today announced an agreement to dismiss all litigation between the two companies worldwide. The settlement includes a payment from Apple to Qualcomm. The companies also have reached a six-year license agreement, effective as of April 1, 2019, including a two-year option to extend, and a multiyear chipset supply agreement. "...an iPhone can still function without Qualcomm's modem chip by using Wi-Fi. This means that Apple is not dependent on Qualcomm's modem chips". Hey...who needs a modem chip when you can just use WiFi right? Just like an iTouch/iPod or whatever you call those things that look like an iPhone but can't make phone calls. This will probably be the funniest statement we hear from a lawyer this year lol. I agree that was bad example. However, I agree that we Qualcomm shouldn't be getting royalties outside the value of the component. It's odd that Samsung made this same point in their case with Apple. Apple wanted close to 100% royalties in that case and now cry over 5%. So the brilliant strategy was to say that an iPhone could still work without a Qualcomm modem, because it has Wi-Fi... That's like a car without a drivetrain, sure the engine runs, the lights and so on work, but you can't actually go anywhere with it. That's not brilliant, that's retarded logic. LOL? That's the brilliant argument? We all know how much the iPod Touch costs and how unpopular it is compared to the iPhone. That alone proves the value of QC's IP.